Nations Press health When You Tap These Points On Your Body THIS is What Happens-VERY Amazing! When You Tap These Points On Your Body THIS is What Happens-VERY Amazing! There are still many mystery parts in our body not yet discovered that serves as the shortcut for relieving pain and get rid of certain diseases. By using some pressure on the energy points on the body you can help yourself in many conditions like: alleviating emotional distress, weight loss and to soothe pain. The massage technique is very easy and you can do it in a moment of anxiety any time any place. 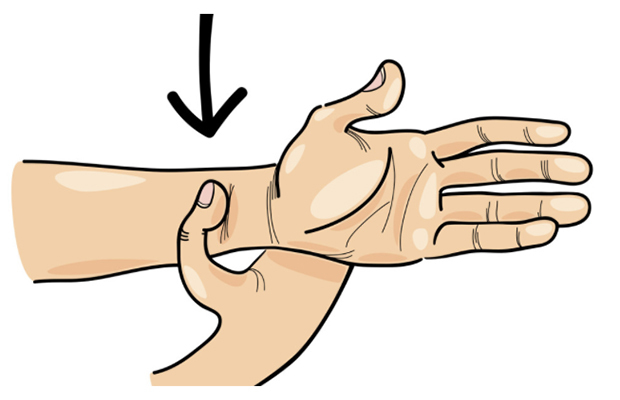 This tapping manner works like combination of performance of acupressure and self-help psychology technique. Acupressure originated about 5000 years ago in Asia and has since been adopted by many clinicians in the West who seek to offer their patients non-traditional and alternative medical options. According to the traditional Chinese Medicine there are 12 energy meridians in the body. By tapping those meridians is releasing energy flow in the body, preventing blockages and restoring balance to your body. It is good for the blood circulation, and subsequently all important bodily functions. The second part of this therapy is expressing the feeling manner. Verbally stating what is bugging you create an immediate release of tension in addition to the tapping. Say what is causing your problem and then say something genuinely kind for yourself. While you state this problem and your expression of self-love, use the fingers of one hand to repeatedly tap the outer fleshy edge of the opposite hand, just below the pinky finger. Use as many fingers to tap as feels comfortable to you and either hand. Say your statement aloud at least three times while tapping. Tap your eyebrow- tap the spot on the inner edge of your eyebrow, where the hair begins growing. You can do it on both sides of your head. While taping say something nice and tell how you feel. Tap the outer eye – Tap the outer eye corner on the bone below your outer eyebrow hair on either side of your head, again saying how you feel. Tap the bone under your eye – Tap your fingers under the eye on the bone, speaking honestly about your feelings. Tap for 10 seconds. Tap under your nose – Under the nose and above the lip. Keep expressing feelings while tapping for ten seconds. Tap your chin – Tap below the bottom lip, just in the crease of your chin for another ten seconds while stating aloud your genuine feelings. Tap your collarbone – You can use either side of the body; tap your fingers against your collarbone for ten seconds and say something else that you are feeling. Tap under your arm – Tap a couple inches down from your armpit, continuing to speak openly and honestly.